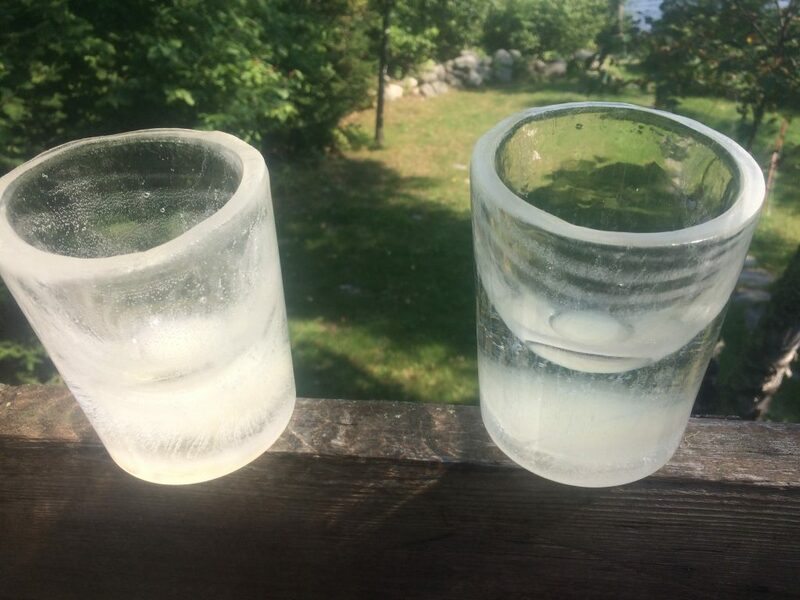 Which one of these two ice glasses will last 30 minutes without leaking? Which nICE mug will last over 30 minutes? 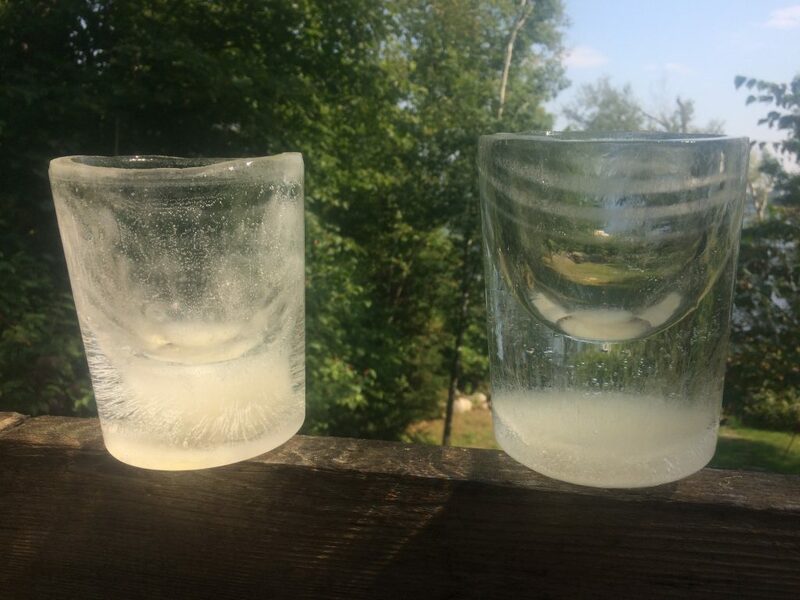 To the average enthusiast who enjoys drinking out of a glass made entirely out of ice, the differences may not seem huge. But to a mad scientist who has been making nICE mugs for over 8 years now, the answer is easy, and critically important. One of these nICE mugs is crystal clear. What little air bubbles exist are down in the bottom of the ice glass, far out of the way of where the beverage will be. 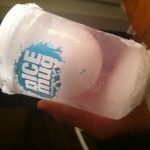 One of the nICE mugs is super hard ice. People from ice cold climates know what hard ice looks like. Hockey players know good ice. Lacing up hockey skates and venturing out onto a frozen lake, we know that clear ice is super hard ice. This is the best ice to skate on. Super smooth. Unlike indoor hockey rink ice, we can skate on clear ice for hours with little snow build up. But when it comes to our favorite cocktail in a drinking glass made entirely out of ice, we choose the nICE mug on the right. We have a better plan. 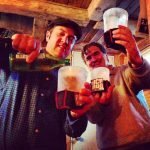 You too can make crystal clear long lasting nICE mugs. Before you put your nICE mug in the freezer for 24 hours, insulate the sides and base of your nICE mug mold* and your nICE mugs will come out of the freezer like the nICE mug on the right. 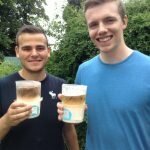 You can make crystal clear nICE mugs like the one on the right. 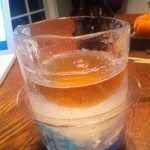 *To insulate the sides and base of your nICE mug mold, try a thick wool sock or bubble wrap. The difference will be very clear! Sign me up! It is getting very warm on the left coast. Your nUCE mugs should handle a left coast heat wave in good order. We’ve been testing ours in 180f sauna. Keep us posted.